Lady Gaga's Versace Campaign: It's official! The rumors were true! Lady Gaga is Versace's latest campaign model. Of course, it comes as no surprise to anyone that this is the pick for Spring Summer 2014, as Gaga has been seen everywhere lately both wearing and carrying Versace. She's already flying the Versace flag, why not make it official? 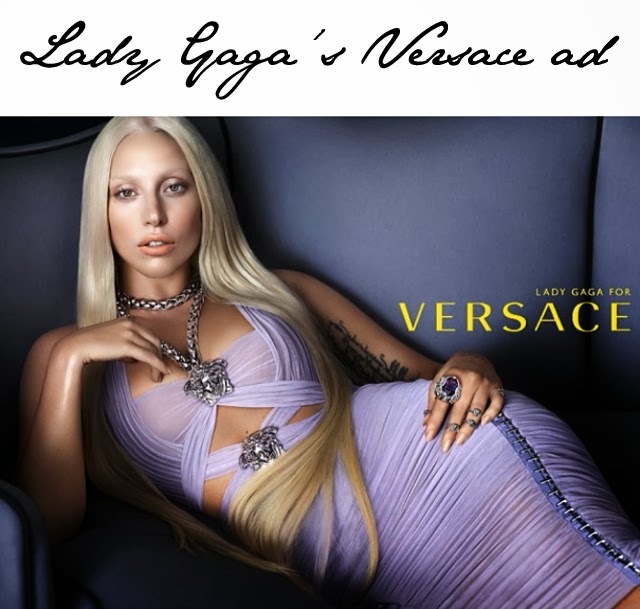 While we're all pleased to see Versace fully embracing Lady Gaga in a more official form, all the talk is actually centered around the look of the ad itself. Social media is on fire with the idea that Gaga was chosen because of her likeness to the brand's own Donatella Versace. You have to admit that the likeness is uncanny, when examined closely. From the bronzed skin to the never-ending blonde hair, the two could actually be sisters. There are surely more pictures to come. But here we have proof of an official Lady Gaga Versace campaign in the works. Shot by Mert & Marcus, this image actually comes courtesy of Mert Alas's Instagram account.